The 16-bit era is somewhat before my time. My older brother has a Super NES that’s older than I am, and we got a Nintendo 64 when I was very young, but the system that I have the most childhood memories of playing on is the GameCube, and even then it was before I got into gaming to the extent that I have today. In any case, I haven’t played most SNES games, and I’ve never played a Sega Genesis. When I visited Mega Cat Studios at PAX, they were mainly showing off two games: the NES version of Log Jammers, and Little Medusa on SNES and Genesis. After a brief stint playing Log Jammers (my first time playing an NES), I played some of the SNES version of Little Medusa. I apologize for the blurry images, I had to upscale them since they’re from a SNES game. Little Medusa is an action-puzzle game with small, contained stages and a top-down view. 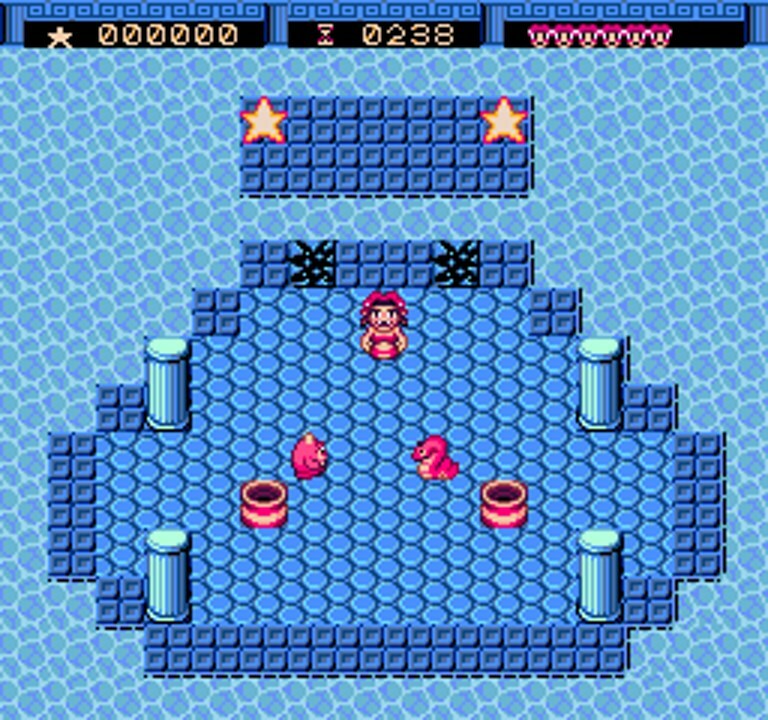 Each stage has areas of land divided by water, with the goal to collect the stars scattered around the level as quickly as possible. In the early levels I played, your main method of solving puzzles is by turning constantly-respawning enemies to stone and pushing them into the water to create bridges. There are five main worlds, each themed around a different element with ten levels and a boss fight. 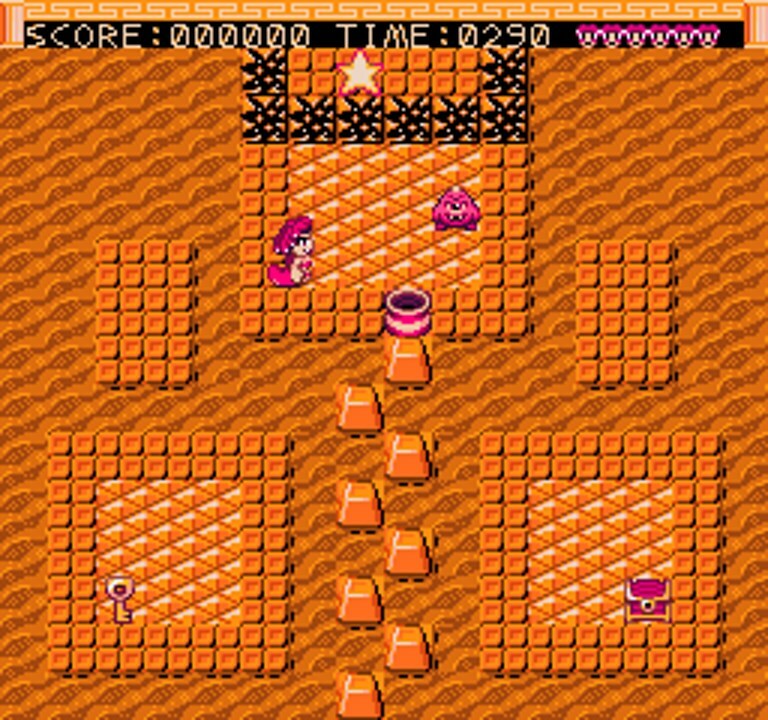 By beating the target time on each stage the player can then unlock a bonus world and another ending. Although I only played the water-themed first world, apparently the later worlds introduce new level mechanics and new powers that the player can use. The levels I played were pretty simple, all based on the basic mechanic of turning enemies to stone and pushing them, as well as the ability to create boulders that you can use to line enemies up with where you want to put a bridge. The general simplicity makes it easy to pick up and play, since it eases you nicely into its mechanics by gradually layering them on. To be fair, I don’t know how much any added mechanics would change the game, but based on the simple yet fun and challenging puzzles of the first world I hope the game maintains that level of quality throughout. 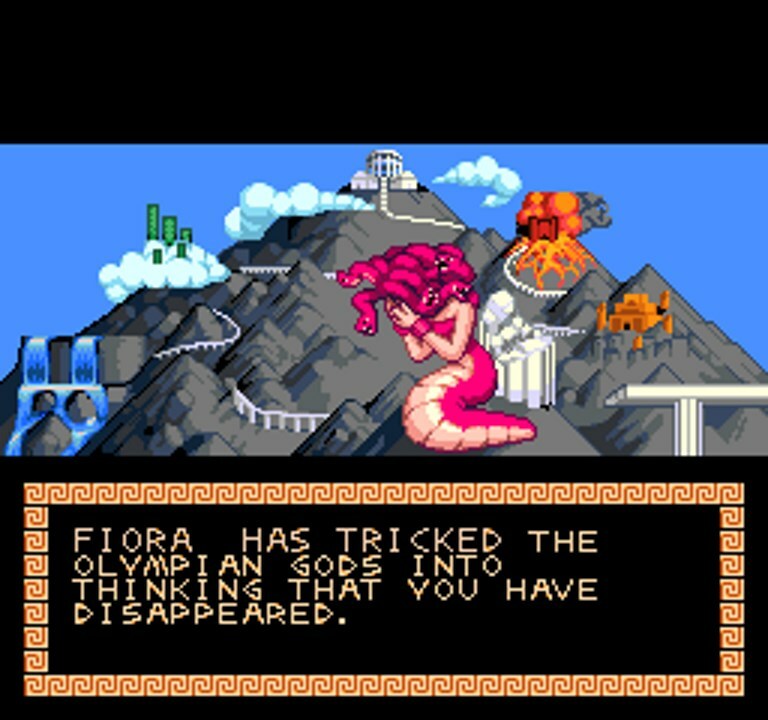 If you’re interested in trying Little Medusa, it’s available now on NES, SNES, and Genesis, if you have one of those. I would recommend it, but as much as I’d like to be able to play through the game myself I do not have any of those consoles on hand, so unfortunately I’m not able to. It’s a fun puzzle game though, so if you’re into retro action-puzzle games with some modern refinements you could do a lot worse than Little Medusa.